Suffering will be a part of your story sooner or later. That's how life is. How will you handle it? This is not a book about making the best of a bad situation or about finding God after tragedy. This book is about daring to live no matter where life takes you and celebrating God for who He is regardless of the circumstances. 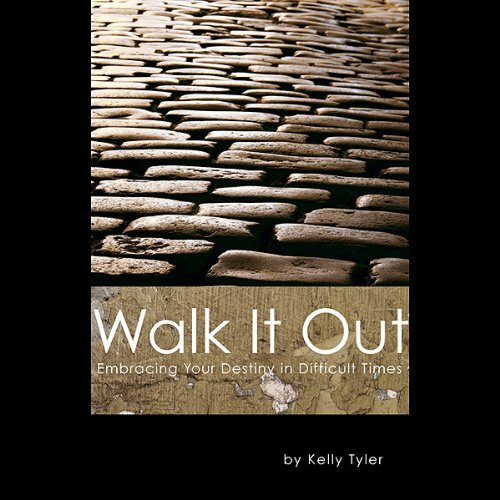 Walk It Out is about tragedy and hope, suffering and triumph, heartache and romance. It is about one young woman's journey into the valley of the shadow of death and the treasures she found hidden in those shadows. Would you listen to Walk It Out again? Why? Yes I will listen to this amazing story again and again. To remind me of God's incredible faithfulness and patience with His children. This story has completely transformed the way I see God's miracles. We are bound by time here, but God's plans for us are eternal and so are His promises and miracles for us. Kelly is a graceful, poignant writer whose skills have flourished in God's riches and bounty. I am forever touched to know this family's story and you will be too.